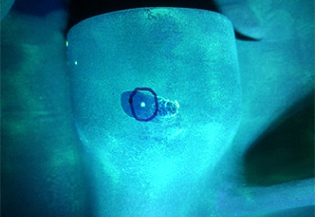 Dye penetrant inspection method is highly sensitive to small surface flaws and discontinuities. It can be used on a wide variety of shapes and materials ranging from metals, plastics, and rubbers. This inspection method is a cost effective approach to rapidly inspect large objects or a high quantity of items. 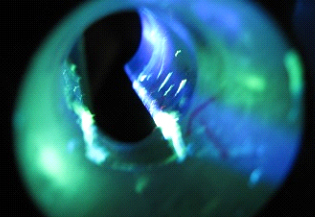 Constellation Technology offers visual and fluorescent testing methods capable of detecting common and uncommon discontinuities open to the material’s surface. Some of the most common discoveries are fatigue cracks, grinding cracks, overload and impact fractures, and weld discontinuities. Common applications include: Forged Parts, In-Service Parts, Turbine Engines, Weld Inspections, Fan Blades, Pressure Bodies, Valve Components, Fillet Welds and Engine Parts.